There is nothing like a good ol’ fashioned BBQ. Lots of friends, lots of food and lots of fun. It wouldn’t be summer without one! 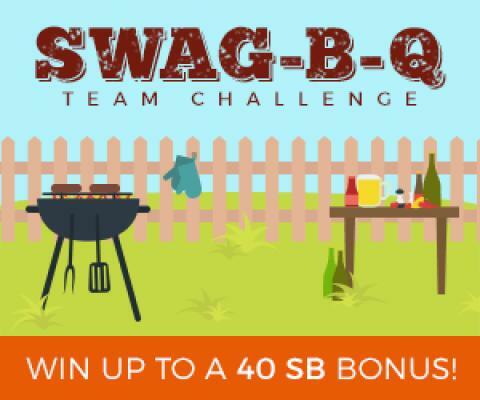 Starting Monday, July 11th, Swagbucks invites you to their first Swag-B-Q Team Challenge. It’s as fun as those classic backyard parties but at this shindig, you don’t have to worry about burning the hamburgers! Instead of bringing potato salad, Swagbucks members bring in SB for their team. All members who participate and contribute at least 300 SB to their team’s total will receive an SB bonus in the form of a rebate on their next gift card! The party lasts until July 15th so log on or make a free account today!